Yippee, it’s fall and that means change. Typically, the first thing we change in the Siomacco house is our entry way! And I can’t wait because my summer flowers, well let’s just say they didn’t make it past June in this hot South Carolina heat. So, I ripped them up long ago. Now it’s just empty planters. The hubs likes to give the door a fresh coat of paint and I like to plant lots of pretty fall mums. How do you plan to change your door this fall? 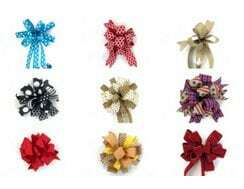 For starters, how about a beautiful wreath? 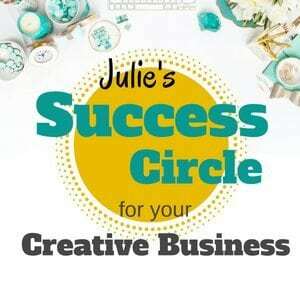 If you don’t want to invest in a professional handmade wreath, you could try your hand at making one. 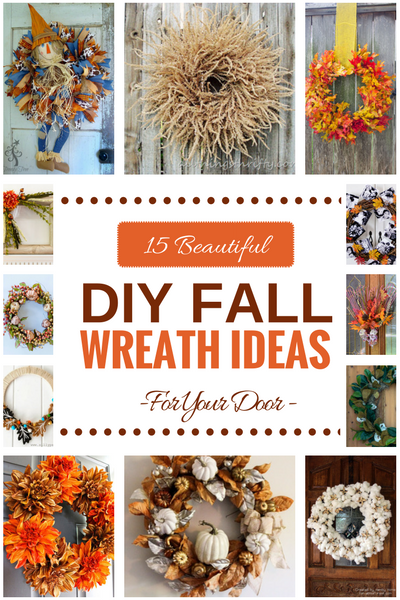 I’ve come up with a few DIY Fall Wreath ideas for you here made by other bloggers and I’m sure you will find one you love. Don’t forget to switch up colors or use different materials to make it your own. And when your guests arrive, they will ask where you purchased your beautiful Fall wreath and you can tell them you made it! This post contains some affiliate links for your convenience. Click here to read my full disclosure policy. If you’re looking for something for your door but you don’t want a wreath, how about a fall door hanger? Click here for my free video where I teach you how to make a fall door hanger. Comment below and tell what’s your favorite Fall Wreath is to make! If you don’t want to make a DIY Fall wreath yourself, consider purchasing one on Etsy by other amazing wreath makers. Click here to find some amazing Fall Wreaths on Etsy. What a great list! Thanks for including my cotton wreath!! 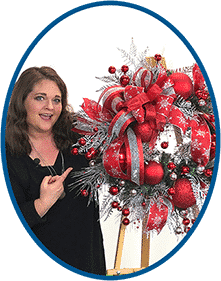 Hi Julie, I’m honored that my Magnolia and Oyster shell wreath is included in this great roundup of wreaths. You have some fantastic wreaths on your page…I could spend hours here. Hi, Julie! This is such a great round up of wreaths! Thanks for including my square wreath! Thank you for these fabulous ideas, I am making a couple this week. I have been meaning to ask you if you made any wreaths out of your Hobby Lobby trip yet ? I really enjoyed that video & got ideas galore from it. No not yet. Unfortunately, I’ve been so busy planning a new video! 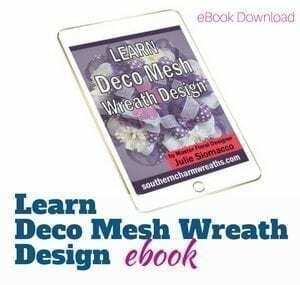 I can’t wait to start to learn how to make some beautiful wreaths.